In Tobacciana > Pipes > Show & Tell. 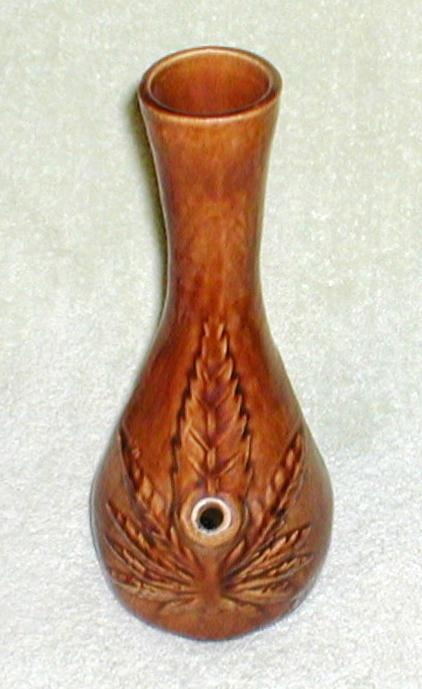 This is a vintage mid-1970's ceramic water pipe - or commonly known back then as a "bong" - used for the smoking of the dreaded weed cannabis by hippies and high-school stoners. - it is glazed ceramic, 10" tall, with a felt bottom and has a raised marijuana leaf effect on the front and a smaller leaf on the rear handle side. - missing the metal tube and tobacco bowl. 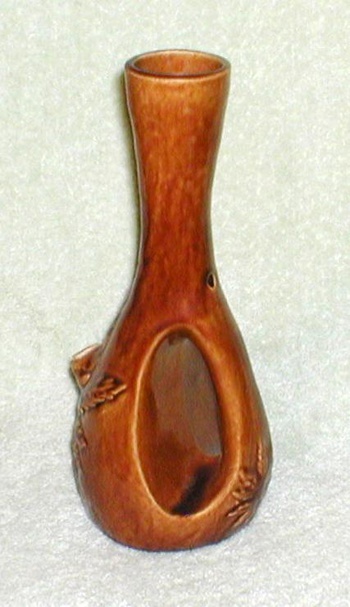 This was the first bong I ever owned. If anyone knows where there is one like it, I’d like to buy it from them.